On Wednesday May 23rd the ‘Friends’ set off from as far away as Somerset for our first game of the year against Fordham B.C. in Cambridgeshire. Ten counties were represented. Also present were three past England Presidents, as well as the current Senior Vice President. 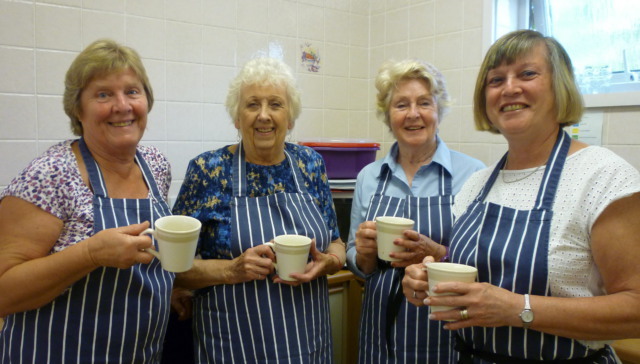 On arrival we were greeted by the ladies in the kitchen with a very welcome cup of tea. Some of us then went outside in the sunshine and watched Malcolm (Jack of all trades) having a fight with the flag pole. He did win in the end and both flags flew over the green. After a buffet lunch we exited the lovely clubhouse and were warmly welcomed on the green (which looked magnificent and played very well) by the Chairman of the club and Captain of the Day, Tony Carlton. Lots of laughter filled the green and the scores went up and down – but, sad to say, in the end we lost by 12 shots. After a delicious supper the winning rinks were announced and prizes awarded. John Thompson, Captain of the Day for the ‘Friends’ made a very amusing speech and at great expense gave his winners a lolly-pop each (appropriated from Little Chef) and a bag of jelly babies (to keep up their strength for the game tomorrow). 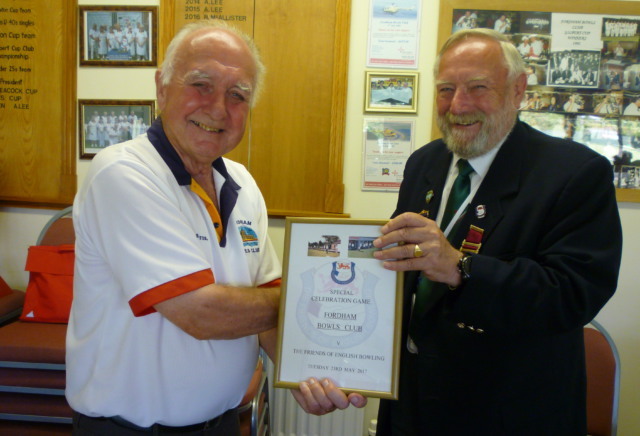 John then presented the club with a certificate to commemorate our visit. Our grateful thanks go to Fordham B.C. and all its members for a most enjoyable day. We hope you had as much fun as we did. These days do not just happen – a lot of planning goes into them. So once again a big thank-you. We had the pleasure of meeting the President of the club Mrs Monica Nelson. 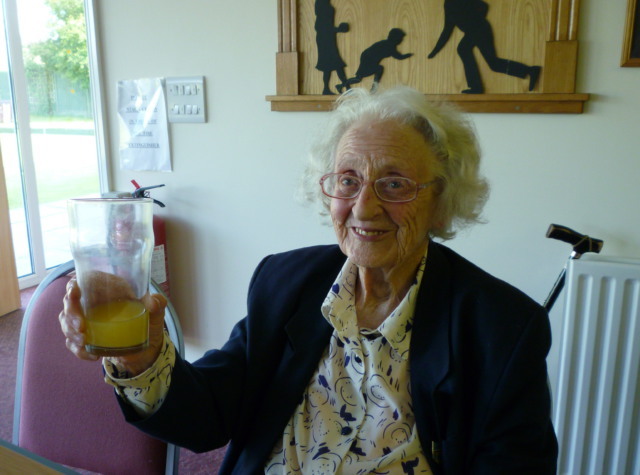 This lovely lady has been President since 2010 and is 97 years young. Monica has been told that we all expect an invitation to her 100th birthday bash.